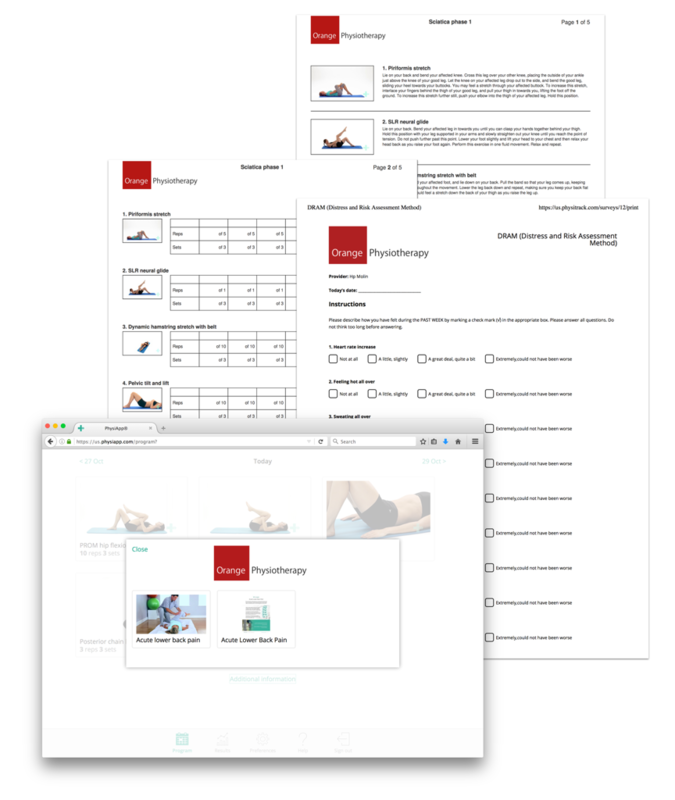 Add your practice logo to Physitrack to show your logo on all printed programs and outcome measures that you and your clients create from Physitrack. For best results, use an image with a white background, preferably in .png file format. Finally, scroll down to the bottom of the page and select "Save changes" to complete the task. Done. Your logo will show on all print-outs, as shown in the sample below with our fictitious "Orange Physiotherapy" logo.